Teaching students to read and understand text from a variety of theoretical perspectives is arguably one of the best ways to engage their reading interests, challenge their thinking, and encourage higher-order analysis. 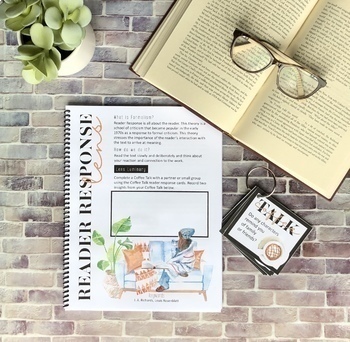 The problem is finding ways to make literary theory both accessible and interesting for students in an organized and prepared way for the teacher. Look no further! 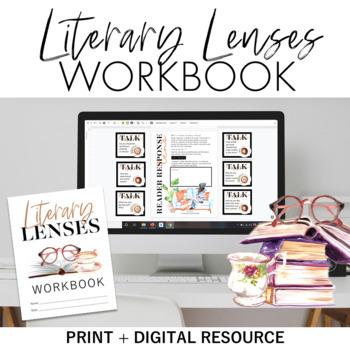 The Literary Lens Workbook is a versatile resource to teach students the essence of literary theory through accessible literary lenses, while also giving them the ability to put the lenses into practice. 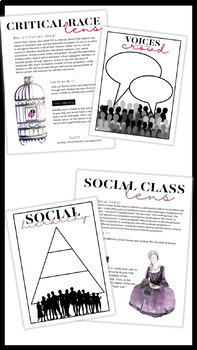 The literary lenses provided in the workbook can be used with ANY text, so you can use this workbook to meet the needs of your class. I will provide teaching ideas and text pairings for each literary theory. 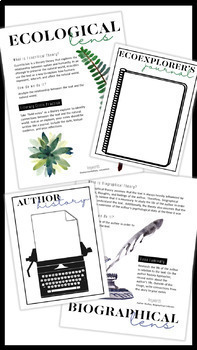 The Literary Luminary Project-Based Assessment is a great way to evaluate students’ understanding of the text and encourage higher-order thinking. The text on the assessment and rubric are editable* so you can tailor it to fit your students and the lenses you covered. *Please note that due to copyright, some of the unique clip art and fonts will be fixed.